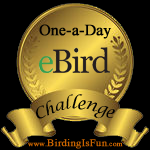 This entry was posted in Birding, Birding News, Blogging, General Birding, Spring, Spring Migration and tagged 10000 Birds, Birdchick, Nemesis Bird, On The Wing Photography, Podcast, Rare Bird Alert, Shortgrass Birding. Bookmark the permalink. ← Snow Goose Chase preparations: Get Out! Both my Brooks and Milk River May Species Counts always show good numbers of these sparrows. The Bairds is quite easy to hear but tough generally to spot and ID. The Grasshopper seems to prefer long grass in native prairie country and is extremely difficult to hear in windy conditions. I have never seen either the Grasshopper or Baird’s!